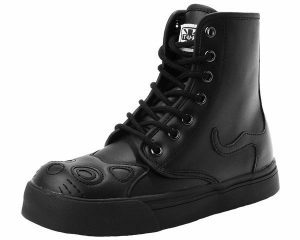 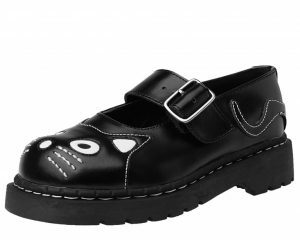 Black cat face shoes by T.U.K. 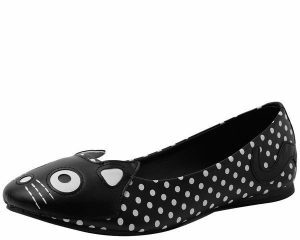 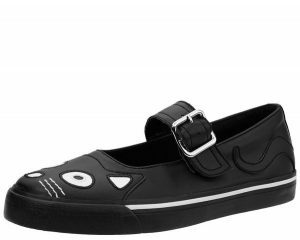 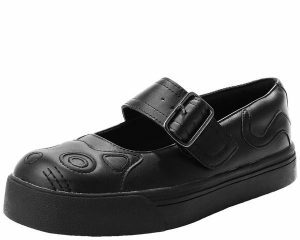 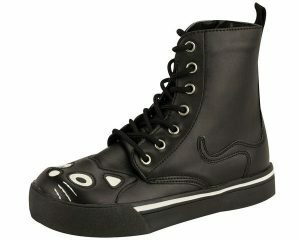 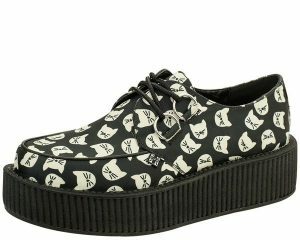 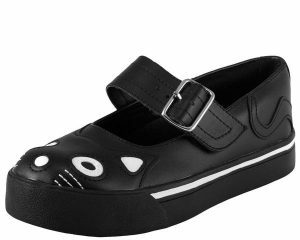 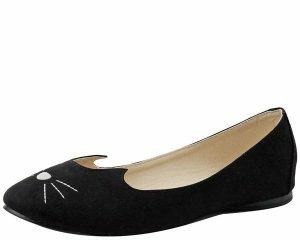 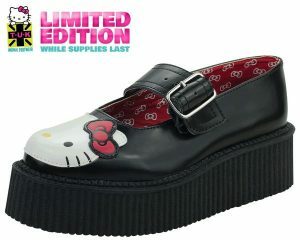 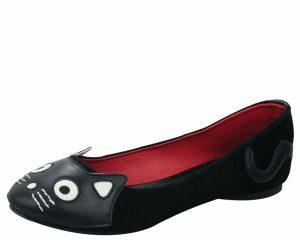 including kitty cat flats, cat face sneakers, kitty creepers and heels, cat face mary janes and all over cat print shoes. 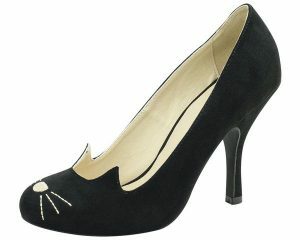 These adorable feline designs are the cat's whiskers!